Tank up for more energy and give your metabolism a boost! To get the most from your workouts, the American College of Sports Medicine recommends drinking about 17 ounces of water two hours before exercise to allow for adequate hydration. During exercise, drink regularly to replace the water lost through sweating. To test if you are drinking enough while exercising, weigh yourself before and after the workout; if you weigh less you are dehydrated. For an energy boost drink 12 ounces first thing in the morning. Your body loses fluid stored overnight, which can make your mind foggy. Starting your day with water may keep you from seeking out coffee or caffeinated tea, or at least help you cut back. Drink 12 ounces of water 30 minutes before meals. Whenever you feel a hunger craving, drink first. If you’re still hungry, have a balanced snack or healthy meal. Drink water throughout the day. Mild dehydration can slow your metabolism by as much as three percent. A German study found that drinking 50 ounces of cold water can help you burn up to an extra 50 calories per day – that’s 5 pounds per year – without exercising! Experts think the metabolism boost is due to the extra effort needed to raise the water’s temperature in the body to 98.6°F. Research varies as to how much water a person needs to consume in one day. The general guideline of eight 8 ounce glasses per day is just that – a guideline to help you maintain healthy function. 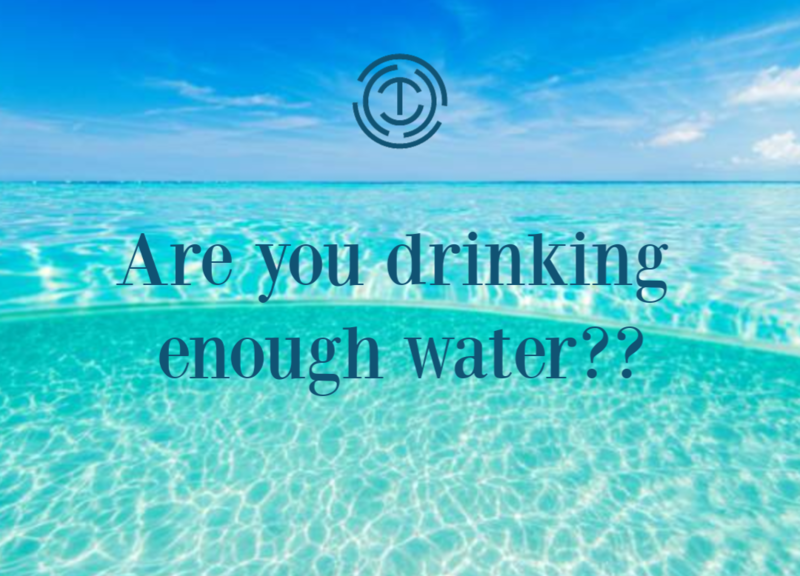 Water regulates your body temperature; aids in digestion, circulation and joint lubrication; maintains blood volume; flushes toxins from the liver and kidneys; and helps decrease the risk of numerous cancers by 50% or more. Water is ingested via our food sources as well. For example, fruits and vegetables are mostly water. Watermelon, apples, grapefruit, broccoli, lettuce, celery and carrots are all very good sources of water.